Utterly fascinating. 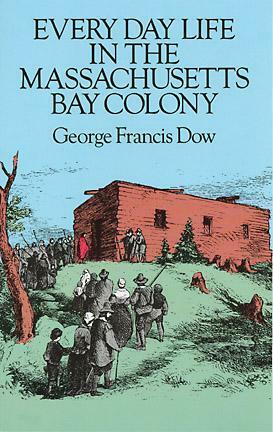 This was research for a novel I'm writing, and I loved the trip back to 17th century Boston. Among my favorite chapters? The one on medicine and apothecaries and "chemists." As they say: what doesn't kill you, makes you stronger. One of the best non-fiction compositions of day-to-day life of common people that I've ever read. A quick, informative read. I really enjoyed it. Excellent resource. The information was presented clearly and with plenty of primary sources. Invaluable if you want to learn about life in Puritan America.